Bluestone Americas President, William Soady, announced the appointment of John T. Moss (Spirit) as Advisory Board Member for Bluestone America. John T. Moss (Spirit) is currently the Chairman of The Board/Founder of the Native American Trade & Information Office, a Division of Caddo Assets Services Help (CASH) Community Development, (a 501(c) (3) organization). Mr Moss is a member of the Caddo Nation of Oklahoma and highly respected in both, the Indian tribal governments and the US government agencies, which deal with tribal laws and issues. Mr Moss previously served as consultant to a leading international investment and merchant bank based in the US, active in Asia and Middle East. 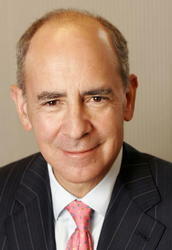 John acted as a key member of the negotiation and deal team, advising on cross border merger and acquisitions involving a $ 4 billion commercial bank from emerging markets, interfacing with senior level management, providing counsel on due diligence, financial analysis, strategic planning and investment recommendations to the buyer. Our Indian managed non-profit goals, with its two divisions, are to provide funding and Tribal ownership in economic project development, education in business & personal finances, economic strategies & instruction on implementation; we play an important role in bringing self reliance to our great Indian Nations said John Moss. John has received commendations by the City of Los Angeles and other government bodies for his work in both, the business community and his non-profit organizations established to advance the American Indian Nations. Mr. Moss, his organizations and contributions are featured in the June 22nd, 2010 edition of Indian Country Today (a national American Indian publication). “John brings to Bluestone America an extensive background in both business and non-profit organizations established to advance the America Indian Nations. Johns involvement and dedication to the development of Indian owned and operated business will give Bluestone the insight to effectively serve the financial and funding needs of gaming, hospitality and resort developments. The American Indian Nations have a very complex and developed business hierarchy in which John has been active in for many years. We are looking forward to serving this market as well as counting on Johns guidance and participation said William Soady.